Sarah Shannon is a solo artist based out of Seattle, WA. The former front-woman of influential 90s noise pop band Velocity Girl, her solo work draws from traditional piano pop. Shannon released her first solo album titled simply Sarah Shannon in 2002. 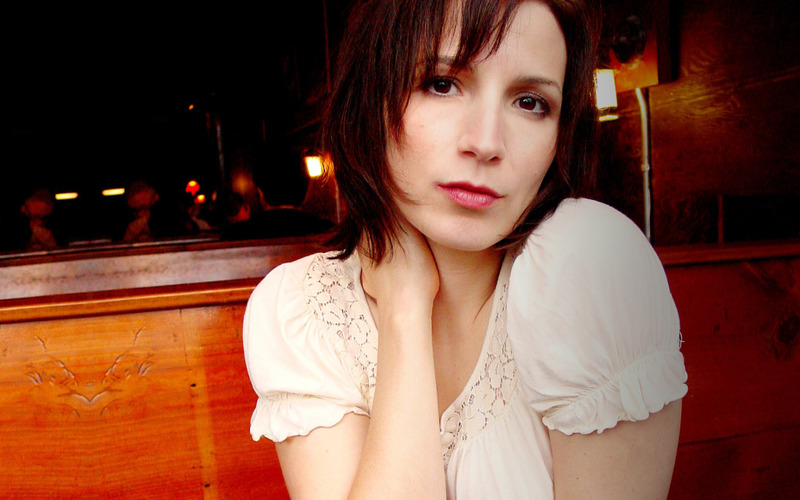 After a five-year hiatus, Shannon followed that up with City Morning Song, released in 2007 on Minty Fresh Records, a collection of mostly love songs driven by piano and Shannon's powerful vocals. City Morning Song was produced by Martin Feveyear, who also produced artists like Mark Lanegan, Brandi Carlyle and John Wesley Harding, which helped Shannon bring out a lush sound in the recording. Shannon has continued to play a variety of club venues and festivals in the time since City Morning Song was released. Sarah Shannon's musical career has changed considerably over the last two decades. In the 90s she was the front-woman for Velocity Girl, an acclaimed band that mixed the shimmering distortion of late 80s/early 90s shoegaze with upbeat pop melodies. Fast forward fifteen years, and Shannon has mellowed beautifully. She's traded crunchy electric guitar distortion for clean piano tones and a jazzy flourish, but her forceful vocals and pop sensibility are still going strong. Her 2007 album City Morning Song has a stately, classic sound to it. She isn't pulling from the last five years of pop music, she's pulling from the last 50. Shannon kicks things off with the confident, bright pound of piano chords on “City Morning Song.” When the chorus hits, Shannon sounds like the veteran she is as her voice rises to hit a falsetto hook, making it sound as easy as a victory lap. Landing somewhere between the piano pop of Regina Spektor and the orchestral mastery of Andrew Bird, “Postwar Hope” creates an atmosphere of wonder and melancholy. Beneath a simple and hypnotic piano line, Shannon sings “Summertime of 1949, New York City/Now he sees it's all a wondrous dream/We don't know what it means to be alive/Is anybody ever really satisfied?” The song is fairly simple, but like elsewhere on the album she shows she can craft a killer chorus as her voice rings out and strings prance around them. “Along The Way” is music to drink a fine cocktail to (or another similarly sophisticated beverage), with its swanky horn-line and unperturbed jazz guitar. Once again, it's Shannon's voice that really makes the song special with its rich jazz chanteuse-meets-pop tone. City Morning Song is the sound of an artist who isn't afraid to change, and knows how to highlight strengths honed over time.